Key difference: ‘Love’ is a profoundly tender, passionate affection for another person. It is a feeling of warm personal attachment or deep affection, as for a parent, child, or friend. It can also be used to describe sexual passion or desire. An obsession is when one is completely dominated or preoccupied with the thoughts, feelings, or desires for something, essentially a person. It is when one cannot stop thinking about someone constantly and persistently. Humans are fascinated with love. We need love, we crave love, and we’ll do anything for love. There are pages and pages devoted to love throughout history, stories, poems, sonnets, paintings, and so much more. 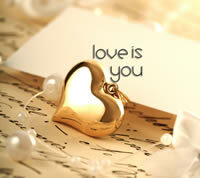 According to Dictionary.com, ‘love’ is a profoundly tender, passionate affection for another person. It is a feeling of warm personal attachment or deep affection, as for a parent, child, or friend. It can also be used to describe sexual passion or desire. Love is a strong affection and a emotion of personal attachment. Love is defined as a virtue full of human kindness, compassion, and affection; "the unselfish loyal and benevolent concern for the good of another". While, love more often than not is used to denote feelings toward the romantic partner, love in fact is more generic than that. Loving someone is a feeling of warm personal attachment or deep affection. It can be used to refer to anyone, any person, or any thing. For example: I love you. I love my mom. I love my husband. He loves his girlfriend. I love my dog. They love pizza. She loves vanilla ice-cream. Mary loves the sea. John loves football. Romantic love: Considered similar to platonic love, but involves sexual elements. This the type love referred to when taking about love between two partners, such as a boyfriend – girlfriend, husband – wife, boyfriend – boyfriend, girlfriend – girlfriend, etc. Still the need to be loved can be quite demanding and persistent. So much so, that we may become obsessive as times. One may not realize that what one thinks is love, is in fact an obsession. An obsession is when one is completely dominated or preoccupied with the thoughts, feelings, or desires for something, essentially a person. It is when one cannot stop thinking about someone constantly and persistently. Obsessive love is when a person feels an overwhelming obsessive desire to possess the person they are attracted to. The obsessed person may try to force them into a relationship, will try to buy their love, or will try to alienate them from their family and loved ones. An obsessed person may exhibit all of these, some of these and/or other symptoms of obsession. They will also be unable to accept rejection from the other person. Obsession is often considered to be a type of mental illness, as the person doe not recognize the fact that they are obsessing over something or someone. They confuse their feelings for love. The more time and effort invested that the person invests in their obsession, the worse it gets. People in an obsessed state have a one-track mind where they often lose touch with who they are as an individual. Their life gets defined by getting and possessing the other person. This loss of individuality creates a vicious circle of behavior where the obsessed person grows more and more dependant on the other person and on the relationship in general. There is help available for the obsessed and the ones victimized by them. In cases as such one should always try to get help, whether it is the one who is obsessing, or the one who they are obsessing about.